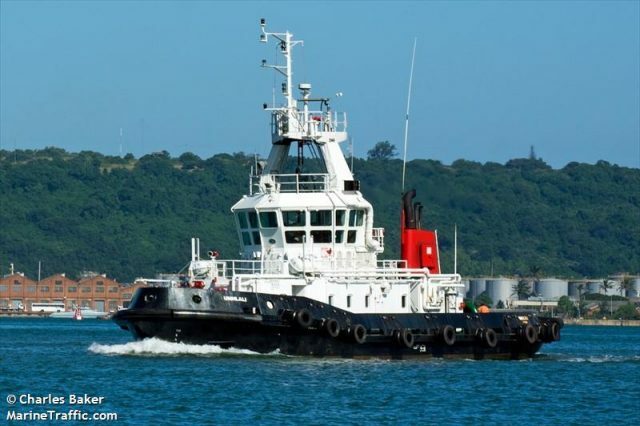 On April 13, the 30 meter long tugboat Umhlali was struck by the 200 meter long, 21037 dwt car carrier CSCC Asia in Durban harbour, South Africa. The CSCC Asia was departing from Durban with a pilot on board when it veered forward and pinned the berthed Umhlali against the quay. The CSCC Asia sustained no damaged, but the Umhlali sustained damage. No reports of injuries or pollution released. The CSCC Asia departed the following day for Luanda. No further details reported.